Children will test their limits on a race course at an upcoming running event to promote the preservation of loggerhead sea turtles, also known as caretta carettas, in Antalya, Güver Uçurumu on Dec. 24. 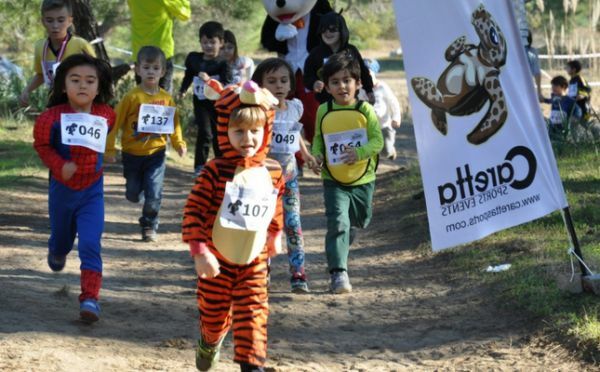 The Caretta Kids Run will gather children aged between 3 and 10 at the race course, where they will compete with each other in different categories. Planned to kick off with four distance categories including 200, 400, 800 and 1,200 meters, the children's groups will appear in their colorful costumes and the proceeds will be donated to loggerhead sea turtles under the threat of extinction. Scheduled to start at 10:00 a.m., the race event will be accompanied by a mini festival and award ceremony organized by Caretta Sports. In Turkey, awareness-raising events are regularly organized to protect the endangered logger head sea turtles. 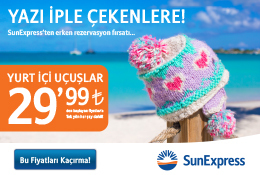 İztuzu Beach in the Ortaca district of the southwestern province of Muğla is the main breeding ground of the endangered loggerhead sea turtles in Turkey. Regular monitoring of loggerhead sea turtles continues all tear round and the breeding area of sea turtles at İztuzu Beach is under protection. Last year, more than 20,000 baby loggerhead sea turtles were released into the sea from this region.